The world we live in is customer-driven: anything and everything is about customers. The competition to have an edge is fierce, which is perhaps why CRM tool has become an absolute necessity to ensure a better customer experience. 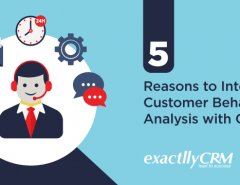 But more often than not, a doubt still remains in the minds of companies: how exactly does the tool help in improving customer relationship management? Okay, this is the staple benefit that every vendor trying to sell you a CRM tool mentions. However, it cannot be ignored how important customer service is for ensuring overall customer management. In fact, often the mediocre quality of the product/service is forgotten when garnished with excellent customer support. 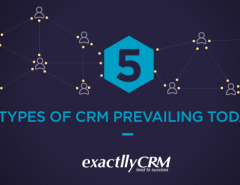 So, all that said and done, how does CRM care for the customers better than your existing team? CRM has access to the entire customer data, thus every customer could be given a unique treatment instead of a generic one. The vast, centralized data empowers the employees to deal with customers in a more personal manner. CRM is also dynamic, which means that specific customer requests can be given priority depending upon their urgency and importance. The power of social media is not something that can be underestimated any longer. Once considered just an escape route, social media now acts as the glue that holds the world together. There are unlimited opportunities you can find online, and transforming customer relationship management is one of them. The trend began a decade ago with Comcast, and today every business has a social media handle to deal with customer feedback. Social CRM is the aspect of CRM tool that directly reaches out to customers on social media. A phone call or email is no longer the only (or even the preferred) way to interact with customers. The best vendors were quick to realize this, and today social CRM is integrated with strategies like social media optimization and gamification. By giving the power of social media to CRM, a huge potential for revolutionizing customer management is unlocked. Mobility has been influencing every aspect of technology for the past three decades. It began with mobile phones and is today extended to all aspects of our life. Customers are no longer dependent on their PCs or even laptops to access the online world; they access it on the go. CRM leverages it to provide a new customer experience. Put simply, mobile CRM harnesses all the capabilities of CRM remotely. You no longer need to be in the office to resolve customer queries; you can solve them anywhere. Access to the entire customer data and real-time analytics ensures that the quality of service is never compromised. Effectively, the resolution time is reduced significantly, which is essential for a better customer experience. Studies reveal that 65 percent of the employees with Mobile CRM were able to achieve their sales quota, compared to just 22 percent without it. As the world moves towards mobile-first, Mobile CRM will play a more significant role in the future. For a long time, the relationship between companies and customers was pretty one-dimensional. Companies provided products/services, and customers provided feedback. However, this is beginning to change now with crowdsourcing. Crowdsourcing is the latest trend that leverages interaction with customers to explore innovative ideas. CRM helps you to do exactly that. We have already discussed how CRM can tap into social media and enable a better interaction with customers. This interaction is not just limited to feedback, but also helps to understand the expectations of customers, solutions to existing problems and new ideas for the product/services. In simple words, crowdsourcing with CRM enables customers to provide innovative ideas to the companies. Effectively, you access a vast think-tank that is directly involved with your company. Thus, CRM goes beyond the usual avenues of sales, marketing and customer service, and brings about innovation. In the world of customer relationship management, this is truly revolutionary. A very common saying in the corporate world today is, "Data is the currency upon which businesses excel". For the most part of the industrial history, data was mere records that existed only to look back when necessary. But since the beginning of this century, the actual importance has been realised and then began to be tapped into. User data was like a treasure that held the key to business expansion and growth. CRM was one of the first tools that harnessed it efficiently. One of the most appealing aspects of CRM is the centralized storage of data. 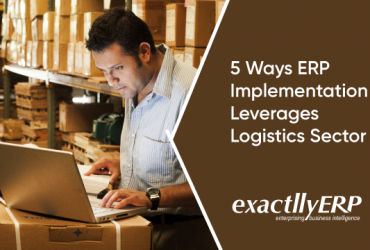 It enables every employee to access the same data repository, even on mobile devices. However, it is not much useful to simply store data. CRM understand that, which is why it performs analytics on it to generate insights. These insights can reveal a vast array of information. You can understand customer habits, which products are outperforming/underperforming, which customers are likely to return to your company etc. Analytics also empowers the employees to form a more personalized relation with the customers. This strategy makes the customers more comfortable, thus ensuring a more open discussion with you. Naturally, all of this contributes to better customer relationship management. CRM is one of the few tools that has only improved with time. 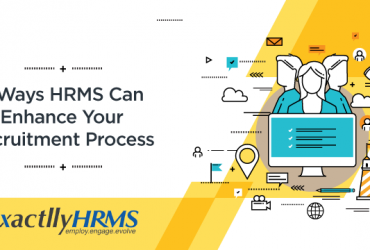 In the dynamic marketplace today, CRM has somehow managed to look into the future and be ready with the requirements as and when they arrived. 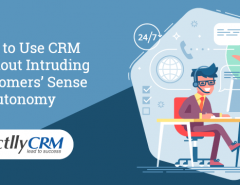 This is perhaps why CRM remains the favorite tool for customer relationship management across the globe, and this is likely to remain the same in near future.